Matthew 16:24-25, “Jesus said to His disciples, If anyone wants to come after Me, let him deny himself and take up his cross and follow Me. For whoever wants to save his soul-life shall lose it; but whoever loses his soul-life for My sake shall find it.” These words are followed by the Son of Man coming in His glory and in His kingdom, both of which point to New Jerusalem. This is the constricted way the Lord spoke about in Matthew 7. 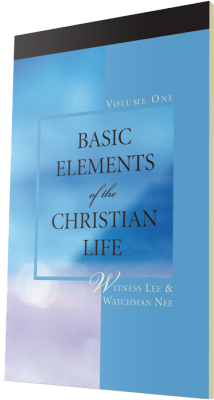 This subject seems negative, BUT remember, the death of our natural life manifests the resurrection life, the only life present in New Jerusalem. “Always bearing about the putting to death of Jesus that the life of Jesus also may be manifested” (2 Cor. 4:10). Here is one key point or verse from each post in this series, with a link to the post. The death of Christ terminated all negatives, redeemed God’s people, released the divine life, and created the new man. 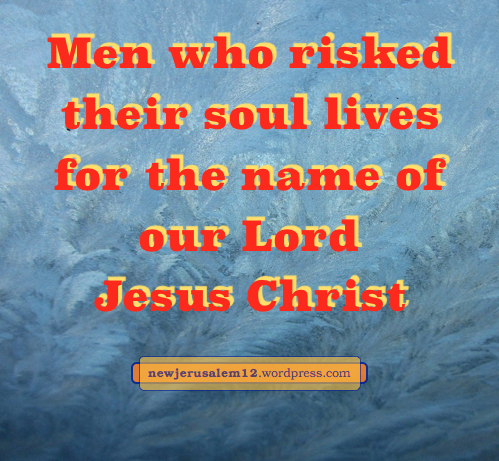 We were crucified with Christ and also raised with Him (Rom. 6:6, Col. 3:1). Christ offered Himself to God through the eternal Spirit (Heb. 9:14). In this Spirit His death and His life are available to us. Objectively, positionally, we are in all that Christ has done. Yet now we need to grow into this subjectively, experientially. Galatians 2:20 is about our experience. Christian growth in life is gradual (Gal. 4:19). To deny ourself is the key to growth. 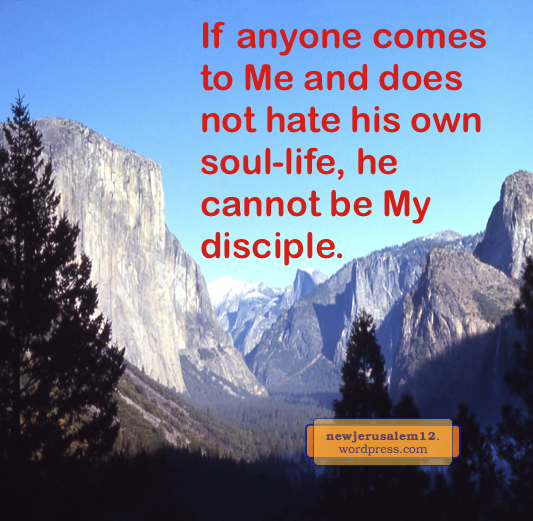 Luke 14: “If anyone comes to Me and does not hate his own soul-life, he cannot be My disciple.” If we are not disciples, how will we be in New Jerusalem? The Lord told us to deny ourself, and He did this. 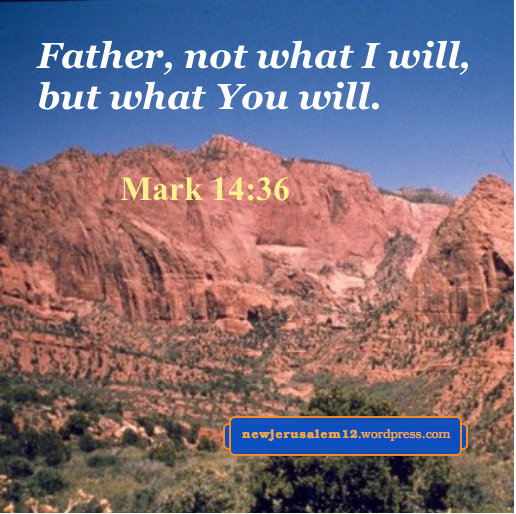 An example: “My Father, if it is possible, let this cup pass from Me; yet not as I will, but as You will” (Matt. 26). 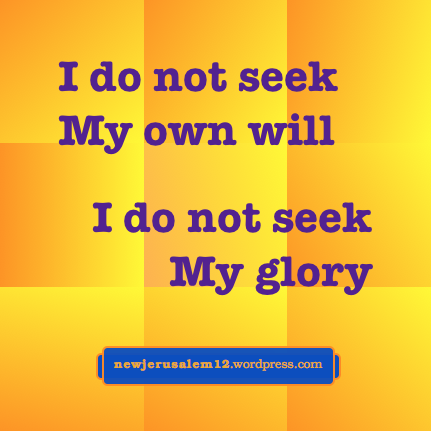 In John 7 and 8 the Lord declared that He did not seek His own glory. To deny ourself is to deny our opinions, preferences, like and dislikes, complaints, and vain talking. Perhaps none are evil, but they are self and will not be in New Jerusalem. Denying and losing the self seems negative, but death is followed by resurrection. 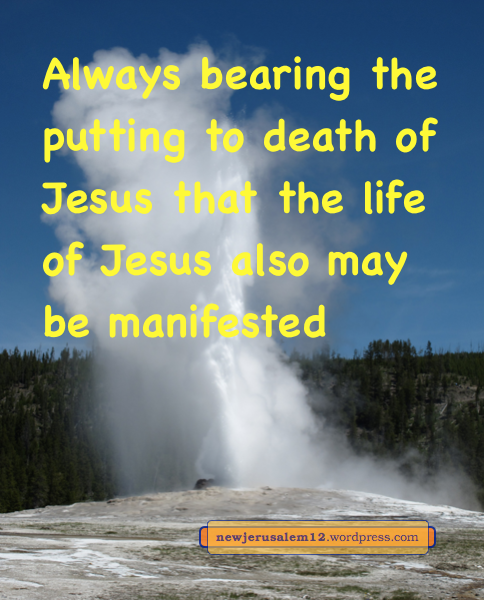 We are being put to death that the life of Jesus may be manifested (2 Cor. 4:10-12). We boast in Christ Jesus and long “to know Him and the power of His resurrection and the fellowship of His sufferings, being conformed to His death” (Phil. 3:3, 10). To deny the self requires constant exercise, empowered by His resurrection with a longing for the fuller resurrection at His return and the fullest in New Jerusalem. “Looking away unto Jesus” enlivens us to be delivered unto death and to deny ourself. The denial of our soul life is presented in Ephesians 4:22: “That you put off, as regards your former manner of life, the old man. 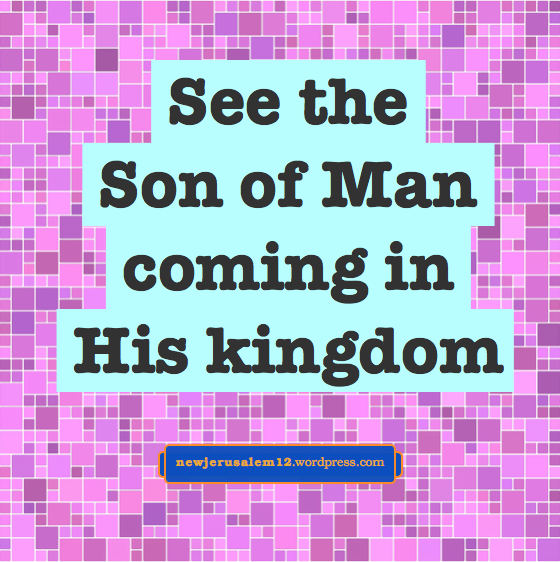 Then we put on the new man who continues into New Jerusalem. To deny our self and lose our soul life is to take the constricted way which leads to life (Matt. 7:14), eventually to the city of life, New Jerusalem. Near the beginning of the New Testament, the Lord Jesus told us to deny our self, take up our cross, and lose our soul life. This denying, taking up, and losing is the practical termination of our natural life so that His resurrection life, the life of New Jerusalem, may be manifested. Near the end of the New Testament we read about some who faithfully carried out this word of the Lord. “They [some believers] overcame him [the Devil] because of the blood of the Lamb and because of the word of their testimony, and they loved not their soul-life even unto death” (Rev. 12:11). Not loving the soul life = denying it. In Revelation 2 and 3 the Lord had multiple churches in Asia Minor, yet He was not satisfied. In the epistle to every church, he called for overcomers. Even in speaking well about Philadelphia, He called for overcomers. And in Revelation 12 we see that He gained some. These overcomers “loved not their soul-life even unto death.” In contrast, they loved “our Lord Jesus Christ in incorruptibility” (Eph. 6:24). This means that they loved the Lord absolutely. They did not love with any selfish motive* but denied themselves. 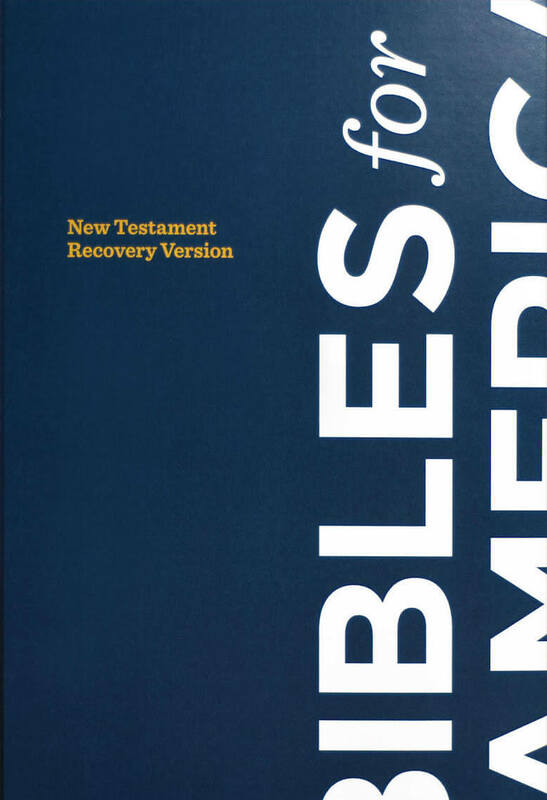 Incorruptibility is a characteristic of New Jerusalem. We need to deny even our natural love for the Lord, that we may love Him with this incorruptible love. We love Him in this way now, when He comes, and unto New Jerusalem. 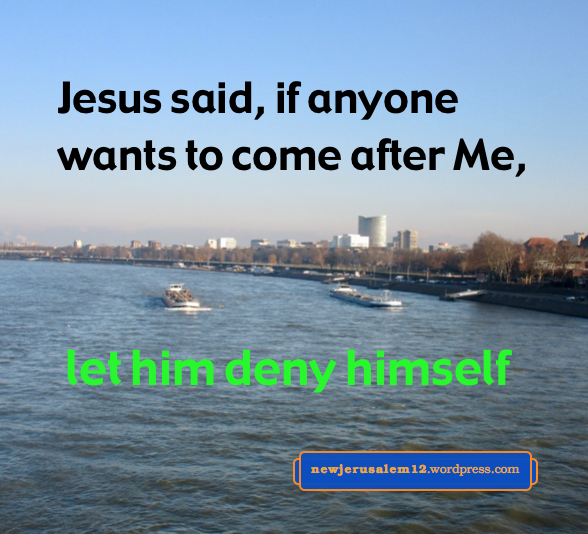 *James and John loved the Lord Jesus, but in the early years they loved selfishly. They asked, “Grant to us to sit, one on Your right and one on Your left, in Your glory” (Mark 10:37). 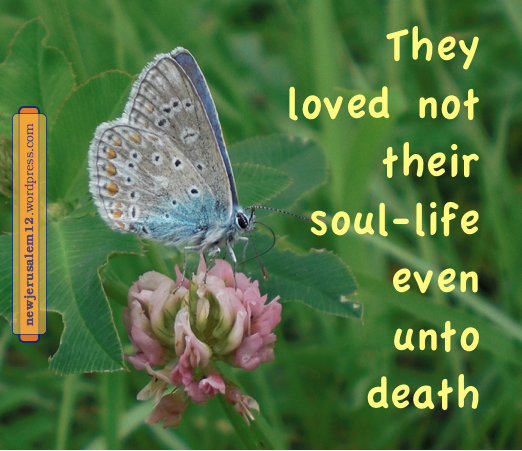 In their later years, after the Lord’s resurrection, they were faithful unto death. 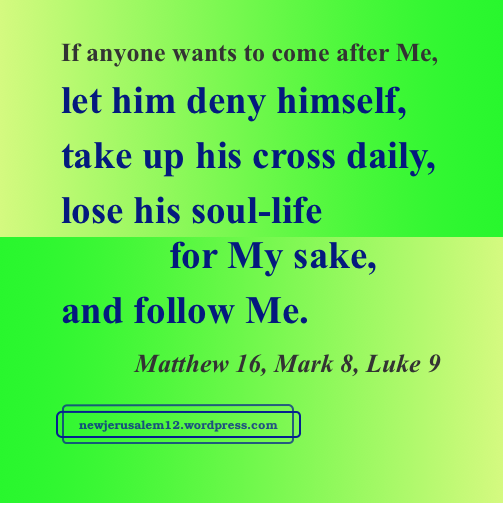 In Matthew, Mark, and Luke the Lord told us to deny our self, take up our cross, and lose our soul life. In John He presented Himself as a pattern of this denying. The immediate goal of these actions is to follow Him and to be His disciple. The broader goal, shown in His speaking following this subject, is His second coming, His glory, and His kingdom. If we follow Him in denying and losing, we will participate in these blessings on our way to New Jerusalem. In John 6:38 He said, “I have come down from heaven not to do My own will but the will of Him who sent Me.” To deny ourself is to deny our own will, to not seek or do what we want. 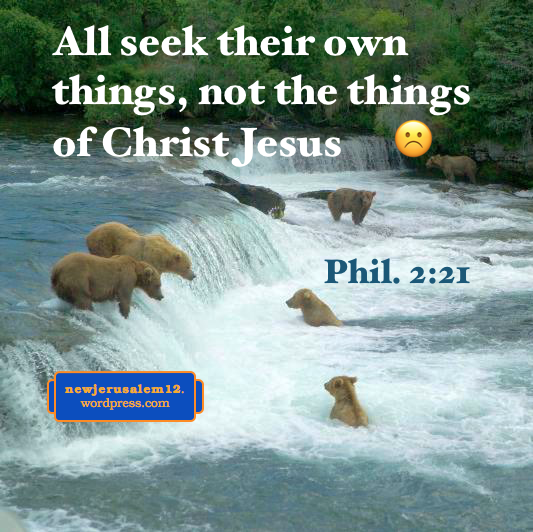 In John 7 He said, “He who speaks from himself seeks his own glory; but He who seeks the glory of Him who sent Him, this One is true, and unrighteousness is not in Him.” And in John 8, “I do not seek My glory.” He denied Himself by not seeking anything by Himself or for Himself. To follow the Lord, we cannot seek our glory, our prestige, our fame. We are only earthen vessels to express the Lord, with New Jerusalem as the ultimate vessel of glory.